The strength of porcelain comes from unique clays that are fired at extreme temperatures which produce a harder, denser tile for unmatched durability that outperforms even granite. Select tiles can be used indoors as well as outdoors. 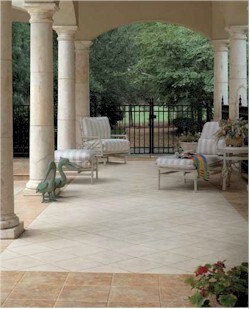 Porcelain has exceptional stain and water resistance.